When it comes to business loans, it is not a matter of whether you will get one or not. It is just a matter of when. Your experience while looking for the right loan for business can be hard or easy, depending on a few things. The loan market is very dynamic, always changing, coming up with different products and services. As a smart business owner, arm yourself with the right information before seeking a loan. Before you can go looking for a loan, have a clear image in mind of how you are going to spend the money to grow your business. No lender will lend you money without being convinced that you are going to put it to the intended best use. If you have a good plan, it shows that you intend to, and will be capable of paying them back. The loan application process – what you can expect! There are so many loan products for small businesses which enable them to overcome their growth challenges and meet goals faster. There are also many sources for small business loans, unlike several years ago when one could only get a loan from the mainstream lenders. With many financial institutions in the market, competition among the lenders to give out loans is high. This is good news for small business owners since the process of acquiring a loan is less harrowing. A small business has a myriad of options for loans. The big boys in entrepreneurship mainly get loans from the mainstream lenders. Small businesses can access loans from many different quarters. 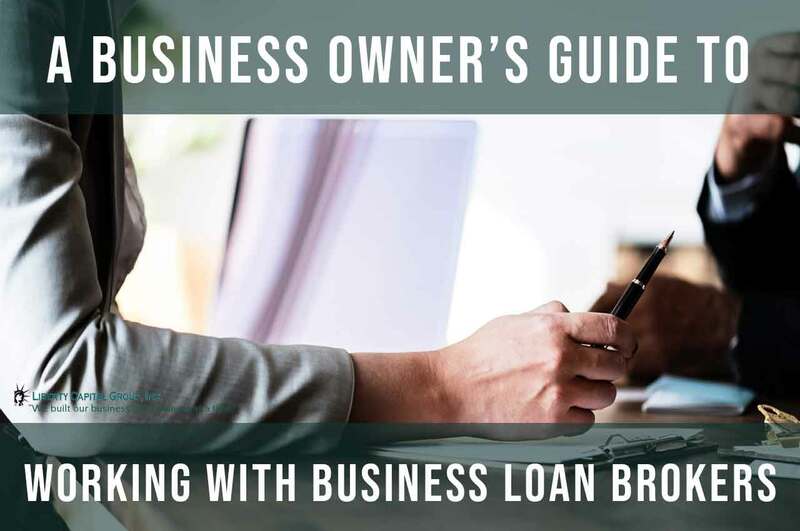 From credit unions to the SBA – Small Business Administration loans, banks and others, there is a loan product for every businessperson. Lenders prefer working with small business startups because they can be part of the growth however the risk can be surmounted. As business grows, it will need more funding, even when it is well established. Now, it makes sense that a business owner will go to that lender (partner) who has always been there for them since they set up the business. Small business lenders offer more loan products than the traditional banks. For example, equipment leasing, unsecured loans to finance new and used equipment for any size of business. Lines of credit and invoice factoring are the other types of financing that online lenders give which most traditional banks typically shy away from unless you are big business with large accounts. Now even micro invoices can be factored into capital upfront in exchange for a small discount rate for a term that might not come. The risk is huge for the lender that handles small invoices due to the nature of the customers who cater to small business invoices. All these loan variants are very favorable to the small businesses. Despite the ease at which small businesses can get loans, there are a few requirements they have to meet to qualify. These are not the standard requirements to qualify for a loan. Mostly, different lenders may have different specifications. Business owners should be aware of that. However, the primary objective of the online lender is to help small businesses have access to funding to grow, sustain and survive any possible unexpected turn which every business encounters throughout its life cycle. Also, to generate income through interest earned, lenders do take the full brunt of the risk while the return is fixed with very little potential for upside gain. When going for a business loan, the lenders are more cautious than when they are giving other types of loans. For a business loan, there is a lot more risk involved. There are also more things to consider. For example, one has to consider the behavior of the market, the type of product or service offered and so on. Thus, when you approach a lender, you have to convince them that your business is viable and that it is not too much of a risk. Before a loan can be approved, it will be quite a process. Firstly, there is the little matter of interest rates. You are in business; the lender is in business, so the loan is going to cost you. In addition, you will be required to give some documentation for yourself and your business. All these things can take some time. Also, there is no guarantee that the first, second or even the third lender will approve your loan request. You may have to try several lenders. Due diligence on your part is advised. If the lender is doing their due diligence to know what kind of risk you pose, you should also do due diligence on them too. Once you commit to the loan, it is an agreement to pay back, with interest. To this point, you have seen that applying for a business loan and getting it approved is not all so easy. Enhance your chances of getting your loan request approved. Know what questions you should ask the lenders lest you end up with a dead loan. This list is going to assist you to approach the lenders most likely to give you a business loan. How much money is the companies max exposure. For example, if you’re asking for $250,000 but the lender’s max is only $100,000, would you apply? Make sure that you know the max exposure each bank exposes themselves into for each client so you can save yourself the time of applying to a lender that doesn’t lend the amount your business requires to accomplish your project or investment. The type of documents required? How many similar businesses has this lender given loans to before? Beyond max lending exposure or risk tolerance, some lenders specialize within certain industries. Make sure that you apply only to a lender that finances your industry so you can avoid applying to a lender that doesn’t cater to your business, or doesn’t know your industry. Most of the time you’ll be treated in the gray area and will end up paying higher rate because the lender doesn’t know your business. Apply to those who not only cater to your business credit and personal credit but also can lend to your industry. Ask the type of interest rate? With almost every business marketing campaign, there is a teaser offer for loans, always being sold on the lowest starting rate which hardly anyone ever receives. For example, truck dealers or auto dealership are so good at marketing the $0 where only a small segment of the buyers qualify for that but yet it doesn’t slow them down on offering loan rates that you might not even qualify for. If you ask what’s the rate before applying, you’ll likely get the lowest teaser offer rate. To avoid getting a verbal quote that doesn’t hold water, I would apply only to that lender who publishes transparent interest rates. Prepayment penalty to pay off the loan early? I can say that this question is asked more often than not. The answer will not be what you really think depending on who the salesperson is you ask? There is no penalty for most loans for paying it off early, but the question that doesn’t get asked is will I pay the full interest expense if I pay it off early? Is this amortized whereby when paying off early you’d only be paying the principle, excluding any accrued interest? Is this loan front-loaded? If equipment leasing or merchant cash advance, typically, you only receive a small discount for paying off early, so it might not be beneficial unless you have money lying around. Otherwise, just make the payment and keep the cash for cash flow management, which is one of the reasons why a business would lease equipment. How long should it take for your application to be approved? Whether you get approved for a credit line or not, underwriters or credit officers will see your loan application in multiple levels of reviews. You should expect fast credit approval as a pass-fail system so that there is no need for financial review if you fail the initial credit reviews of your personal and business credit. But there is financial underwriting that can take time due to financial data points that must be analyzed such as tax returns and bank statements, financials and balance sheets to determine certain risk debt service ratio to determine the affordability of the borrower. Apply to a lender that has varieties of business loans? Small business loans come in many varieties. Each type of loan is offered on different terms, different durations and at different interest rates. Lenders may offer just a couple of types of loans, high credit threshold, or a creditor which is very conservative. Lines of credit loans – These loans are extended to you where you can borrow only a certain maximum and use as much or as little of it as you want. Interest is charged only on what you use. As you pay your balance like a credit card, you balance is available for immediate use. Secured loans – You are required to bring collateral that secures the loan as a security to the lender/bank if in case you fail to pay. Collateral can be Real estate, commercial or residential property depending on the type of loan. They attract a lower interest rate most of the time due to the lower risk lenders typically have on these types of loans. Accounts receivable – In this instance, the lender will use your pending invoices as collateral for the loan they advance you. Invoice factoring – This is where business gets a loan to keep operations going as they await their debtors to pay their outstanding invoices. Unsecured loan – This loan is more popular than ever due to the easy access of funds for businesses that have high creditworthiness, but have very little to no assets to pledge as collateral. Construction loans – these are advanced businesses that need to extend their existing facilities, especially for commercial properties. Merchant cash advances – These advances are granted based on the credit card sales, or simple future sales no matter how the sales are achieved. 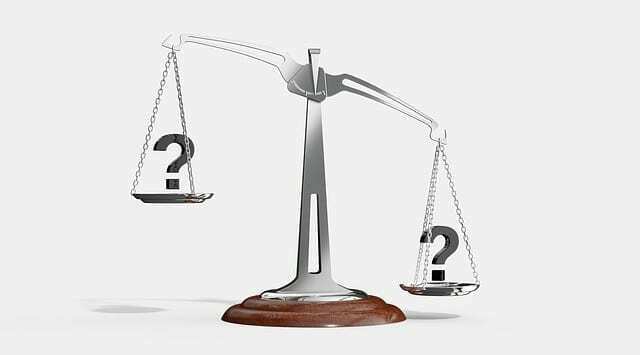 Conflicting with invoice receivable and factoring, however, the difference is that invoice is particular to an invoice or the entire receivables, but the future is a purchase of all future income irrespective of how it’s derived. It used to be based solely on future credit card sales, but lenders got smart and no longer exclude themselves from businesses that don’t accept credit card such as trucking, construction or manufacturing industry where credit card sales are not very strong. What’s the actual loan application process? You have decided on the type of loan, you know that this lender will do your industry and it meets your funding needs, now what? Should you apply? What if you get turned down? Do you have a backup lender? Do you want to go through that same process again or should you just trust all the review that you see per lender online? What about the bad reviews, do you research that too per lender? Should you work with a broker or direct lender? Do you know the difference? Now, you are on to the actual loan application process. You want to be as prepared as possible before you approach the lender. Have all your statements, financials, tax returns and proof of ownership, evidence of any past derogatories have been satisfied or release such as liens, judgments or bankruptcies. What do you need to get ready? Business tax returns all filed current and readily available at all times. Your business revenue over some time – make sure to beef up your bank account before applying so you can show you don’t need the money. Bank statements for your business – avoid having insufficient funds before you apply as it doesn’t make you look good for having negative days in your bank account which indicates that you might not be able to pay the loan back. Keep good files of any agreements with partners, franchise agreements, loan contracts, lease agreements and other contractual obligation and so on that can easily be shown when asked by the lender. Keep your business plan updated at all times especially if you’re applying for SBA or going to a traditional national banks and funding sources. Business permits, secretary of state and other business licenses must all be active and renewed so that there are no surprises when you get turned down because your secretary of state is inactive or suspended for not paying small renewal fees. Once you have the entire paperwork ready, you can approach the lender but be prepared to have an updated P&L (profit and loss) and BS (balance sheet). They will take some time to go through the documents but they will be a big determining factor, and then they will decide whether to approve or reject your request for a loan based on how organized your financials look. Anyone can apply to any lender but should you go at it blindly? However, before you do that, you need to seek clarification on every detail about the lender and your business to make sure there’s a match and that you understand their guidelines and loan products. Should you have any doubt in your mind, you should move on to the next lender. How much will the loan cost you for applying, the origination fees, admin fees, balloon payment if there is any? Is it worth it? Trust your gut feeling. If it is not right, move on find a new lender. Remember, Indira Gandhi said that questioning is the basis of progress. A business loan will enable your company to grow faster, in much less time than it would have taken without the loan. The only thing you need to do is make sure you get a friendly loan underwriter who can fully explain each loan program that might be suitable for you and your business so that you can compare loans and lenders’ rates apples to apples. Do make a deliberate effort to pay the loan. It should be at the top of your priorities every month. The more you pay on time, the more you increase the creditworthiness of your business. Work hard to benefit from the loan. Put it to good use, after all the loan payments are made, your business should be miles ahead of where it was before the loan. You might start at a higher rate in the early stage of your business, but you should graduate yourself to a much higher quality loan as your business profile improves. Here, we bring you many lenders, among the best in the small business loans industry. Never apply for a loan without comparing features, rates, and duration of payment terms for installment loans, term loans, and other business loan programs. Business owners who receive the relief from comparison sites for ease, convenience and self-confident knowing that someone has reviewed the page you’re about to visit, but you must be wary of paid reviews, fake reviews and another tactic to make it seem that you’re reading a real review. Read user reviews left for the loan services they experienced from each lender but take it with a grain of salt and don’t make your decision based on what someone else said, especially, if you don’t know or can’t verify that post. If you’re not careful of the type of site like Lending Tree, your name and contact info could be sold not only to the highest bidders but to numerous lenders which could likely cause multiple inquiries in your personal credit and can potentially harm your lending capacity due to excessive inquiries. Lastly, you could be applying simultaneously to multiple lenders without knowing and applying for a wrong loan program that doesn’t suit your business funding needs. Hope this helps in giving light on how to apply online for business loans. As a leading provider of small business loans and equipment financing for over 10 years, small businesses turn to Liberty Capital Group for quick, simple funding. ID GLOBAL CORP is a publicly traded diversified holdings company looking to consolidate and roll up the highly fragmented new Internet of Things (IoT) applications and 4.0 industries which enable Smart City development. By continuing you give us irrevocable consent to contact any business or partner we may use including lenders, banks, credit reporting services or may use in the future. 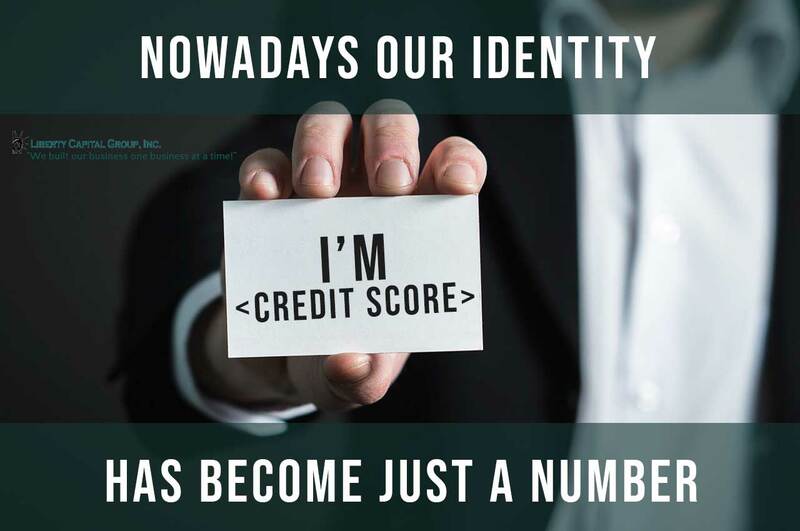 By checking the box, you also consent to us and our related and affiliated partners obtaining a personal and/or business credit report in connection with the business or its owners provided in this application.